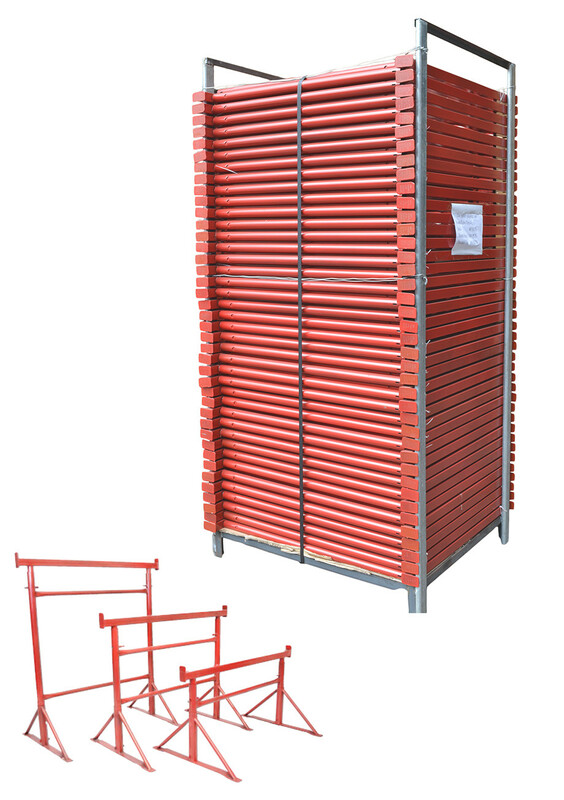 Our builders trestles are designed to work with timber scaffolding boards to assist the reach of heights safely. Manufactured from tubular steel and finished in a red powder-coat, trestles are lightweight, durable and easy-to-use wih the adjustable heights feature. Tubular steel design, adjustable heights.